I am getting the foolowing error - see attachment - when tryeing to perform a clean install on a R710 Dell server. resized under 1M ... Ok now. In the mean time, I solved the problem using Slackware 14.1 DVD and simply replacing Slackware64 directory with ours, then performing a full install(and manual install for devel). 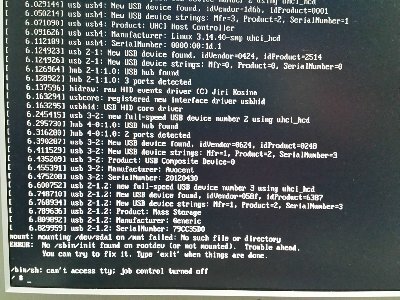 is this error was after booting to new system of from installer...? Yes, it occured right at the first boot after clean and succesfull install. ; These are the extensions that are available for use on this PHP build. ; If you do NOT need any of these extensions, you should comment them out. ; That will probably increase both your security and performance.